dark cherry – Your Life. Your Hustle. So I’m checking out the bottle to see where it says what type of wine it is; you know Cabernet, Merlot, Shiraz etc. 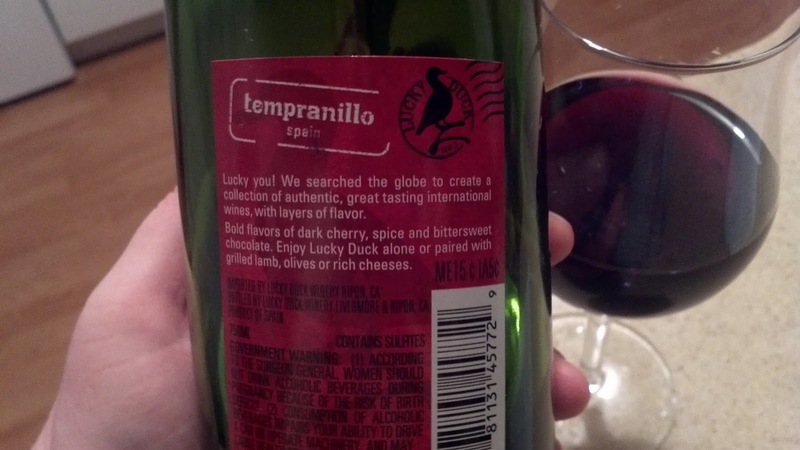 I looked the bottle over thoroughly and found that I needed to actually Google Tempranillo. Turns out it is a type of Spanish grape that ripens earlier than others. The label Tempranillo wine actually refers to the type of Spanish grape used. 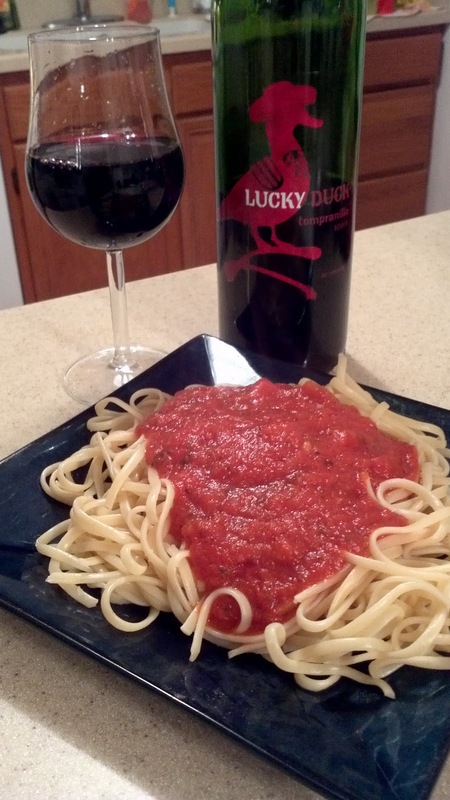 It is sometimes mixed with other red wines but with Lucky Duck it is purely Tempranillo. I always like trying new things! The wine itself is very dark in color. Digging the dark cherry flavors along with the bite of the bittersweet dark chocolate. Leaves a bit of a spice after taste and even 5-10 minutes after swallowing a sip I can still taste the flavors on my pallet. I tried the wine with olives as suggested on the back of the bottle and the combination was so delicious! 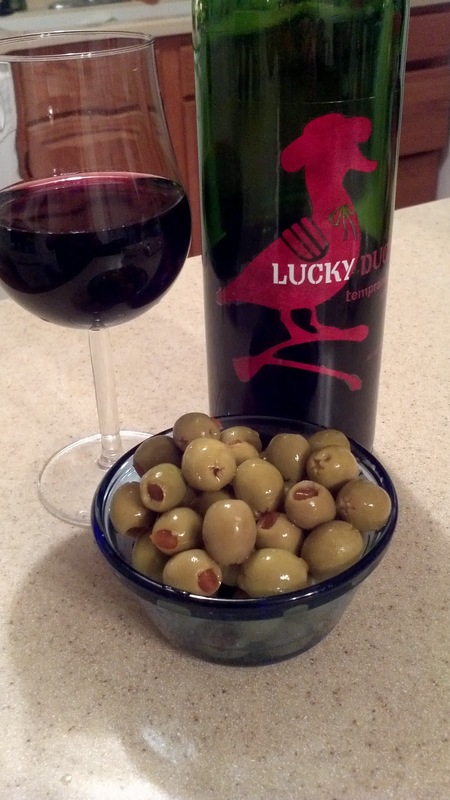 I don’t care too much for olives by themselves as they are usually too salty but the bittersweet in the wine complimented the saltiness of the olives perfectly. Moved on from olives to pasta with vegetable garden sauce and the combination with the wine was satisfactory. You really need to try it with some salty foods like cheese or olives to get the full affect. I’d serve this at a dinner party with appetizers. It’s a bit to bitter for me to enjoy on its own in large quantities (half a glass tops when drinking it solo). Great wine for the price (~$5).